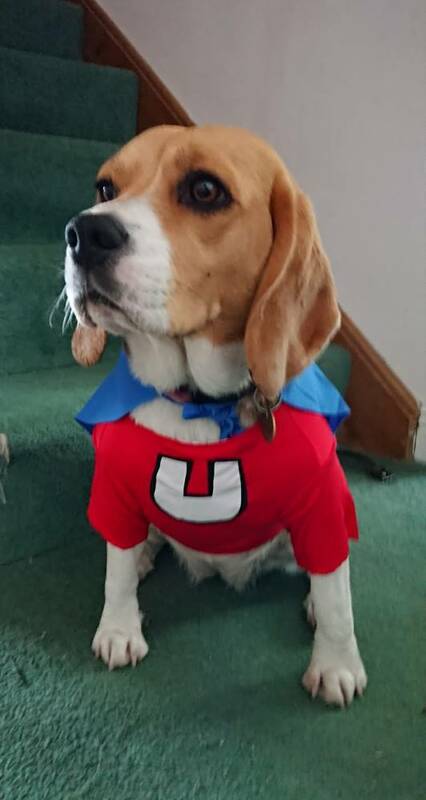 "There's no need to fear, Underdog is here!" 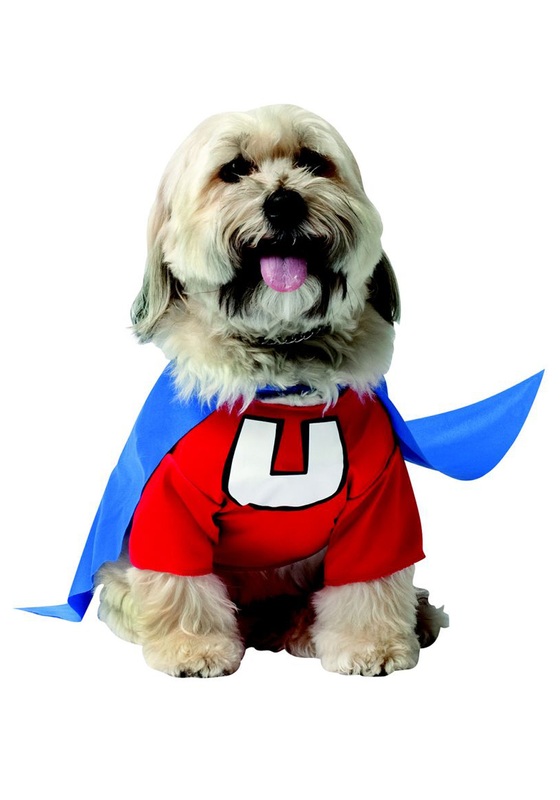 Transform your pooch into the beloved cartoon Underdog in this Underdog Dog Costume! Your best friend is sure to save Sweet Polly Purebred (or pretty much any neighborhood dog) from those neighborhood Bullie-dogs this Halloween. But be sure to keep him on a leash, or he might just try to fly up up an away! You know how it goes, you give your dog a cape and it goes straight to his head – and the sky! This little doggo costume is made from 100% polyester fabric. 100% polyester fabric. The red shirt Velcros in back and has a white ''U'' on front. There is a cape included because every hero, human or canine, needs his cape. The little blue cape ties in front and has a white ''U'' on back!